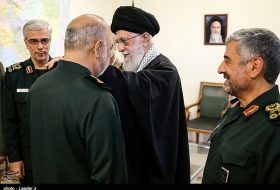 April 2, The Iran Project – The following timeline lists all visits made by over 45 high-ranking world officials and leaders with Iranian President Hassan Rouhani during 1396 (2017-2018). Arranged in order of time, the timeline may not reflect all of the visits by top foreign officials. President Rouhani in a meeting with Russian Prime Minister Dmitry Medvedev in Moscow stressed that mutual ties will play an effective role in promoting regional and international stability and security. President Rouhani and his Russian counterpart Vladimir Putin conferred on issues of mutual interests as well as regional and global developments in Kremlin. President Rouhani met Georgian Prime Minister Giorgi Kvirikashvili in Tehran. During the meeting, President Rouhani said the Islamic Republic can function as the passageway of Georgia and other regional countries to the Persian Gulf, the Sea of Oman and the Indian Ocean while Georgia can connect Iran to the Black Sea. President Rouhani met Speaker of the National Assembly of Pakistan Sardar Ayaz Sadiq in Tehran. Rouhani reiterated that countries which for years have provided financial and military support for terrorist groups cannot claim to be combating terrorism under the pretext of coalitions. President Rouhani met Total Chairman and Chief Executive Patrick Pouyanne in Tehran. President Rouhani held a meeting with Head of the National Iraqi Alliance (NIA) Ammar Hakim in Tehran. President Rouhani met Oman’s foreign minister Yusuf bin Alawi bin Abdullah in Tehran. 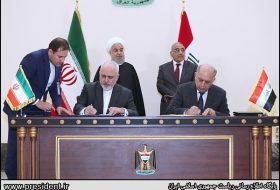 Iranian president met with Iraqi Prime Minister Haider al-Abadi in Tehran. Iran’s president met with some senior world’s officials including EU Foreign Policy Chief Federica Mogherini, Iraqi President Fuad Masoum, Speaker of the National Assembly of South Korea Chung Sye-kyun, Afghanistan President Ashraf Ghani and Foreign Minister of Kazakhstan Kairat Abdrakhmanov that had come to Tehran for attending his inauguration ceremony ahead of the event. President Rouhani met with his Afghan counterpart Ashraf Ghani in Tehran and stressed Iran’s resolve for expanding relations with the neighboring country, in economy, trade and mining. 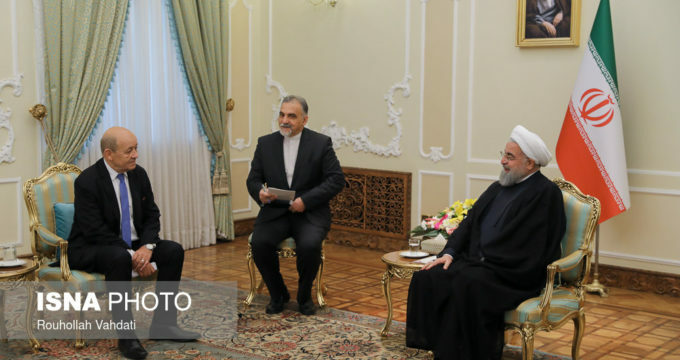 President Hassan Rouhani held talks with Kazakh Foreign Minister Kairat Abdrakhmanov and the two sides reviewed various fields and called for expansion of mutual ties in Tehran. Iran’s President has met with some senior world’s officials including Lesotho’s king David Mohato Bereng Seeiso that had come to Tehran for attending his inauguration ceremony, after the event. 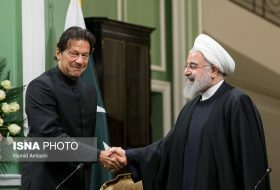 Iranian Rouhani underscored the necessity for further cooperation between Tehran and Islamabad in fighting the terrorist groups in a meeting with Chairman of Pakistan’s Senate Reza Rabbani. 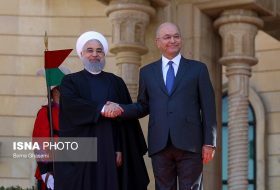 Iranian president and his Turkish counterpart Recep Tayyip Erdogan called for closer cooperation between Tehran and Ankara in Kazakhstan’s capital Astana ahead of a summit of the Organization of Islamic Cooperation (OIC). Iranian President met his Venezuelan counterpart Nicolas Maduro on the sidelines of OIC summit in Kazakh capital Astana. President Rouhani and his Kazakh counterpart met on the sidelines of OIC Summit of Science and Technology in Astana. Iranian President Hassan Ruhani met Japanese Prime Minister Shinzo Abe in New York on the sidelines of the 72nd regular session of the United Nations General Assembly. Iranian President Hassan Ruhani has met with Swedish Prime Minister Stefan Lofven in New York on the sidelines of the 72nd regular session of the United Nations General Assembly. UN Secretary General Antonio Guterres met with President Rouhani, who was in New York to take part in the 72nd annual session of the United Nations General Assembly. In continuation of his meetings in New York for attending and addressing the 72nd session of the United Nations General Assembly, President Hassan Rouhani has conferred with a number of top world leaders from Japan, Bulgaria, Belgium, Norway and Pakistan as well as a group of American foreign policy experts. President Rouhani met Prime Minister of Pakistan Shahid Khaqan Abbasi, on the sidelines of the UN General Assembly in New York. Iranian President Hassan Rouhani has met with British Prime Minister; Theresa May in New York on the sidelines of the 72nd regular session of the United Nations General Assembly. Iran’s President Rouhani has met with Islamic leaders of the United States in New York on the sidelines of the 72nd regular session of the United Nations General Assembly. 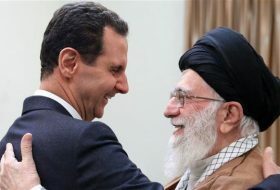 President Rouhani in a meeting with Turkish Chief of General Staff Hulusi Akar in Tehran stressed the need to bolster central governments in Syria and Iraq, saying that any change in geographical borders will cause insecurity and instability to spread across the region. Iran President Hassan Rouhani met Chairman of the Senate of Ireland, Denis O’Donovan in Tehran. President Rouhani told the joint presser following his meeting with Turkish President Erdogan that Iran and Turkey are both against cross regional plots against ME. President Rouhani met Armenian Prime Minister Karen Karapetyan in Tehran. Rouhani met with Tanzanian Foreign Minister Augustine Mahiga in Tehran. President Hassan Rouhani met Uzbek Foreign Minister Abdulaziz Kamilov in Tehran. Rouhani and Iraq’s Prime Minister Haider al-Abadi have discussed issues of mutual interest in a meeting in Tehran. Abadi, who was in Tehran with a high-ranking delegation at the last leg of his regional tour, earlier met with the Leader of the Islamic Revolution Ayatollah Seyyed Ali Khamenei. Iranian President met Director General of the International Atomic Energy Agency (IAEA) Yukiya Amano in the Iranian capital. 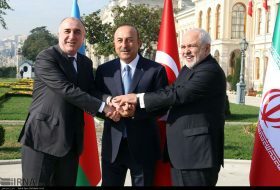 Iranian president along with President of the Russian Federation Vladimir Putin and President of the Republic of Azerbaijan Ilham Aliyev attended a trilateral summit in Tehran, during which Rouhani stressed that any ideas and mechanisms that would lead to strengthening relations with Moscow and Baku are welcomed by Tehran. Iranian president met Pakistan’s Chief of Army Staff (COAS) General Qamar Javed Bajwa in Tehran. Gen. Javed Bajwa, expressed interest in learning from Iran’s Basij Organization. The meeting between the two countries at the military level was hailed in Iranian media as a new era in Iran-Pakistan military relations. President Rouhani arrived in the Russian Black Sea resort of Sochi on Nov 22 to participate in tripartite summit attended by his Russian and Turkish presidents which was aimed at examining results of Astana Talks and start of political process inside Syria. During his day-long visit, President Rouhani addressed the trilateral meeting and also held separate talks with his Russian and Turkish counterparts on issues of mutual interests. Iran’s President met UK Foreign Secretary Boris Johnson in Tehran. Speaking at a meeting, President Rouhani referred to the necessity of developing a friendly and balanced relationship between Iran and the United Kingdom in the interests of securing and safeguarding common interests. President Rouhani has met with Turkish President Recep Tayyip Erdogan on the sidelines of an Organization of Islamic Cooperation (OIC) summit in Istanbul. President Rouhani met Lebanese and Omani parliament speakers Nabih Berri and Sheikh Khalid bin Hilal al-Mawali respectively in Tehran. 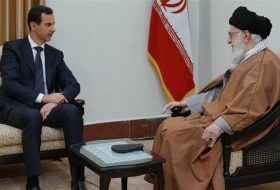 Iranian President Hassan Rouhani received Nechirvan Barzani of Iraqi Kurdistan in Tehran where Barzani reassured the Iranian side that the KRG homes no anti-Iran threat. President Rouhani met Turkish Foreign Minister Mevlut Cavusoglu in Tehran. President Rouhani held several separate meetings with a number of foreign officials in Tehran including Uzbek Foreign Minister Abdulaziz Kamilov and foreign ambassadors, heads of foreign representative offices and international organizations on the occasion of Islamic Revolution anniversary celebrations. President Hassan Rouhani arrived in the Indian capital, New Delhi On February 19. 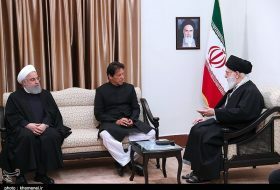 While in New Deli, President Rouhani held talks with Indian Foreign Minister Sushma Swaraj, Prime Minister Narendra Modi and also attended a press conference attended by Modi and attended a meeting with the India’s Parsi community. Rouhani met with the President of the Federation Internationale de Football Association (FIFA) Gianni Infantino in Tehran. Iranian President Rouhani received visiting French Foreign Minister Jean-Yves Le Drian in Tehran and the two discussed bilateral relations. President Rouhani met Oman’s Foreign Minister Yusuf bin Alawi in Tehran. During the meeting, President Rouhani expressed the friendly, brotherly and growing relations and cooperation between the two countries and emphasized the need for efforts to develop and strengthen the relations between Tehran and Muscat. President Rouhani met Minister of Foreign Affairs and Cooperation of Spain Alfonso Dastis in Tehran. President Rouhani met Minister of Foreign Affairs of the Netherlands Sigrid Kaag in Tehran.